Standard Rooms but in addition guests gain exclusive access to the Club Lounge. The Club Lounge serves a complimentary breakfast each weekday morning. 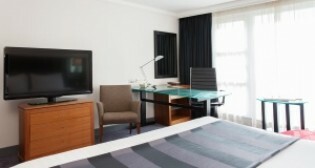 The rooms also benefit from a spacious work area and upgraded toiletries. 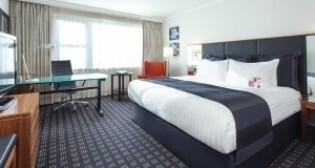 Those staying in the Executive Club rooms are entitled to use the Club Lounge, located on the ground floor.